The capabilities approach is a widely influential alternative theory of justice, popularized by Nobel Prize winner Amartya Sen and also by Martha Nussbaum. 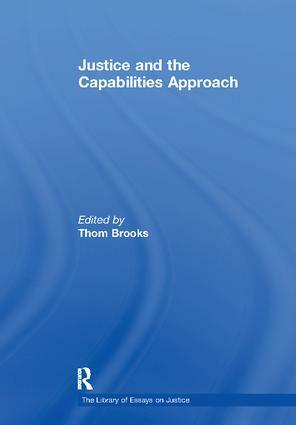 Justice and the Capabilities Approach is the first work of its kind to publish in one place the most influential essays in the field covering a number of topics, including constitutional law, cosmopolitanism, distributive justice, the family, feminism, global justice, human rights, poverty, and social justice. The collection should help inform both scholars and students coming to the study of the capabilities approach for the first time of both the importance and complexity of the wider debate, as well as shed light on how the approach might be further improved and applied. Who Secures Women’s Capabilities in Martha Nussbaum’s Quest for Social Justice?